Data Acquisition — Infinite Automation Systems, Inc.
pre-built with everything you need. Common device protocols allow Mango to easily communicate with most standard PLCs, Energy Meters, Controllers, Equipment, Sensors & other Devices. Generic communication methods are powerful and flexible ways to get data in and out of Mango. These allow you to connect to non-standard systems, calculate additional data and integrate into custom solutions. Included with every commercial Mango installation is a powerful Time Series Database for storing all your historical values. This database is a significant improvement over standard NoSQL databases and offers lightning fast data queries, writes, purges and statistic queries, all while using very little disk space. Compact Data Storage: Data storage can be a significant cost and operating overhead so the MangoNoSQL database uses a highly compact way of storing data. As an example for typical data storage 1GB of space can hold 50,000,000 historical readings. This means even on our smallest MangoES device it can hold 200 million logged values. Gone are the days of being limited by data storage or slow dashboards and reports. The Mango NoSQL database has staggering through-put to disk, into the millions of values per second, and require surprisingly small amounts of disk space. 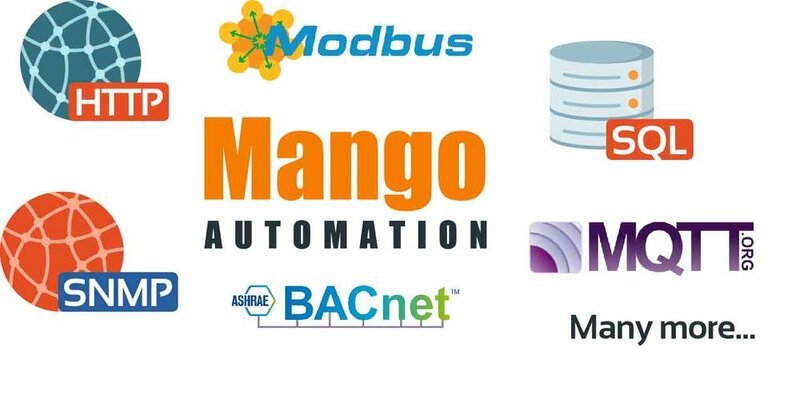 The Mango NoSQL database can easily scale from small embedded ARM devices to the larges cloud servers with many terabyes of data.